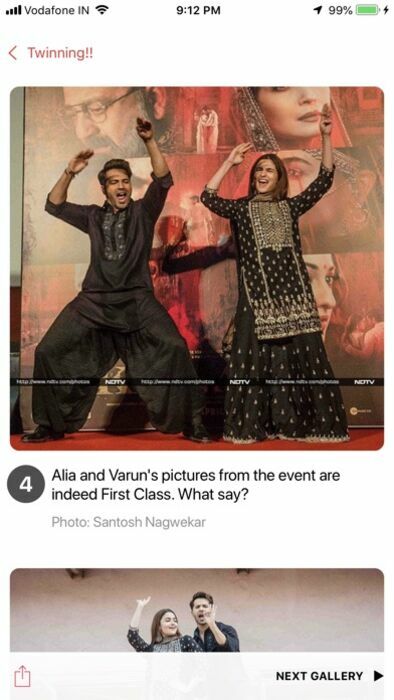 Get the latest and biggest news from India and the world. Stay updated with news, live, as it happens. 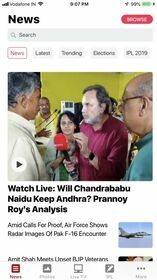 The NDTV iPhone app brings you the latest stories and videos, live from the NDTV studios in India. Award-winning journalists and technology combine to report on Politics, Elections, Business, Cricket, Gadgets, Auto, Food, Football, Bollywood, Cricket Scorecard, Stock Markets and more! • Get alerts on breaking news, latest and more. Select which topics to get notifications on. 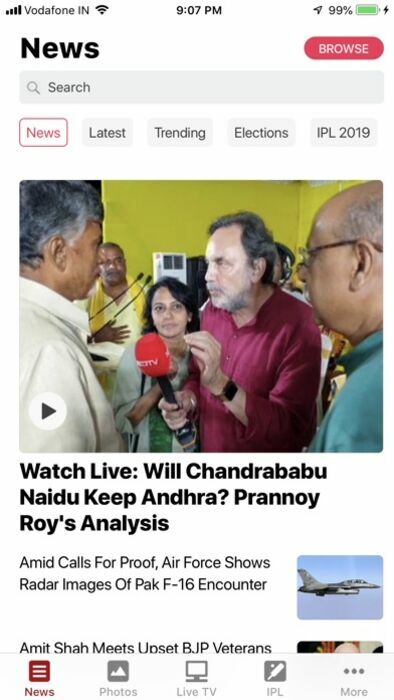 • Force touch on the NDTV icon for quick access! • Support for Chromecast and Airplay! • Your subscription will automatically renew each month or year, and your credit card will be charged through your iTunes account. You can turn off auto-renew at any time from your iTunes account settings. Siri Shortcuts are now available! • Users on iOS 10 and above have access to the NDTV iMessage app! • The iMessage app makes it easy to share news, scorecards, election updates and more with your friends quickly. 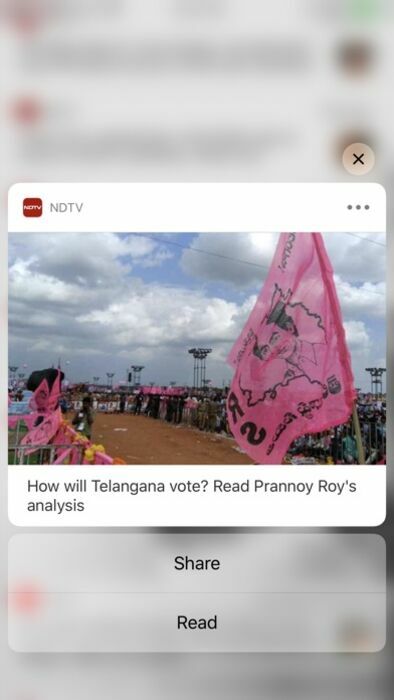 • Tapping on a story in iMessage will open it in the NDTV app. • Get notified about breaking news, latest stories and more! Please note: This app is completely free to use. 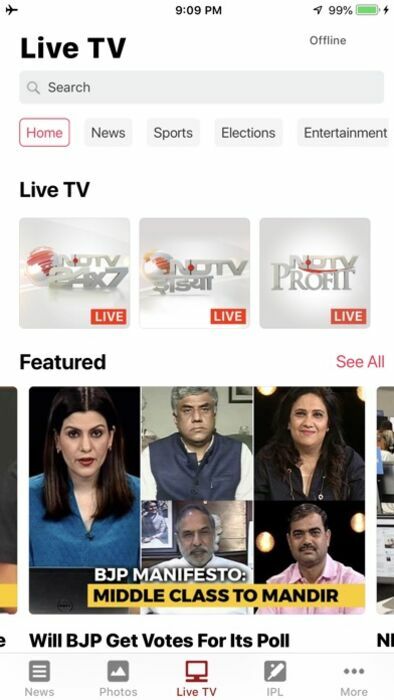 If you choose to upgrade to a premium tier (Monthly, Half yearly or half yearly) Rupees or local equivalent, you will be able to enjoy a completely ad-free version of our app and also access high quality streams for live tv - your payment will be taken immediately and processed by apple. Also, This subscription will auto renew based on the tier you choose by apple unless auto-renew is turned off at least 24-hours before the end of the current period. Your account will be charged for renewal within 24-hours prior to the end of the tier you choose. Your subscriptions may be managed and auto-renewal may be turned off by going to your Account Settings after purchase.